The session will explore how we can find our own leadership qualities rather than look to others to lead, discussing followership and how followers can also be leaders, and to examine the challenges of leading from different roles within the team. It will look at managing different and sometimes challenging personalities within a team. Dawn has worked in healthcare for around 28 years in many different roles. During that time she undertook an Open University Certificate in Management which provided the learning to underpin her knowledge and experience. Dawn worked for a private hospital group in various different roles and has managed a 9,000 patient GP practice in Headingley, Leeds. This provided her with an all-round understanding of healthcare from primary care commissioning through to secondary care intervention. Her previous roles have included commissioning new hospital builds, commissioning new GP surgery builds, IT implementation programs, customer care training strategies including human factors and quality improvement initiatives. She has a strong interest in writing and has had many articles published in the trade presses. She is an active volunteer with the Prince’s Trust mentoring young people starting out in their own new businesses. 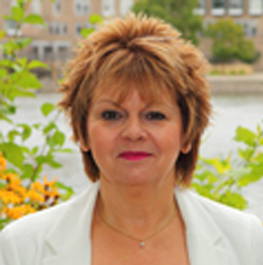 Dawn joined AfPP in June 2009 as Director of Operations and moved into the role of CEO in October 2009.